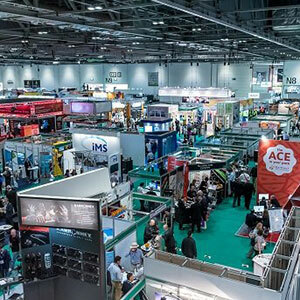 The annual show, now in its fifth year in London, welcomed safety and health professionals from around the world to ExCeL London for 3 days of networking, seminars and legislation updates. Safety & Health Expo attracted over 14,000 visitors representing a 4% increase on the 2017 event and boasted over 300 exhibitors from 20 countries. 54% percent of visitors held an annual purchasing budget of over £100k. As a result, the show connected specialist suppliers to key decision makers who were ready to procure cost-effective solutions and take advantage of on-site discounts. The online Meetings Service played a key role in this, with over 800 meetings between exhibitors and visitors being prearranged before the event began, proving the exhibition’s success as a platform for networking. One of the most successful seminars was the SHP debate, “Do we really need to be talking about mental health so much?” Heather Beach, Managing Director of The Healthy Work Company, introduced the session by announcing that the health & safety industry has for too long leant solely on the safety element of its title, and is only now waking up to the vital role that worker health and wellbeing plays in creating a safe and happy workforce. The Inspirational Speaker Series was an unforgettable highlight. The show welcomed a fantastic line-up of world class speakers, including comedian and mental health expert Ruby Wax OBE, English rugby legend Sir Clive Woodward OBE and Nicky Moffat CBE, formerly the British Army’s highest-ranking female officer. The second day called for celebration as Jyssica Murphy, Health & Safety Advisor at Torus, was named as SHP’s Rising Star UK Award. The award sought to recognise the role that young people are playing in health & safety and acknowledge the new generation of health & safety professionals. Throughout all the three days, The Professional Clothing Fashion Show was a magnet for all visitors. The catwalk welcomed powerful dance routines which elevated the most innovative, stylish and striking workwear and PPE solutions. Crowds watched with excitement as solutions from 3M, Port West and Tranemo came to life on stage under bright lights. As always, visitors to Safety & Health Expo had unlimited access to the 5 co-located shows which form the Protection & Management Series. Safety and health professionals were able to enhance their specialisms across fire, security, facilities management, field service management and PPE. Jeremy Rees, Acting CEO, ExCeL London commented, “We were delighted to welcome Safety and Health Expo to ExCeL London. Our teams are working closely with UBM to support their ambitions for growth and we are delighted that they had another successful event with us. Safety & Health Expo is organised by UBM, which in June 2018 combined with Informa PLC to become a leading B2B information services group and the largest B2B Events organiser in the world. To learn more and for the latest news and information, visit www.ubm.com and www.informa.com.